Today Pho Binh has grown to 4 Vietnamese restaurants in the Houston area to cater to both Vietnamese and s teadily growing American families. 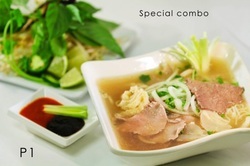 We’re proud of being voted one of thebest pho in Houston. Here at Pho Binh, we are committed to serving our customers healthy and tasty pho soup, fresh meats and produce, and friendly service.